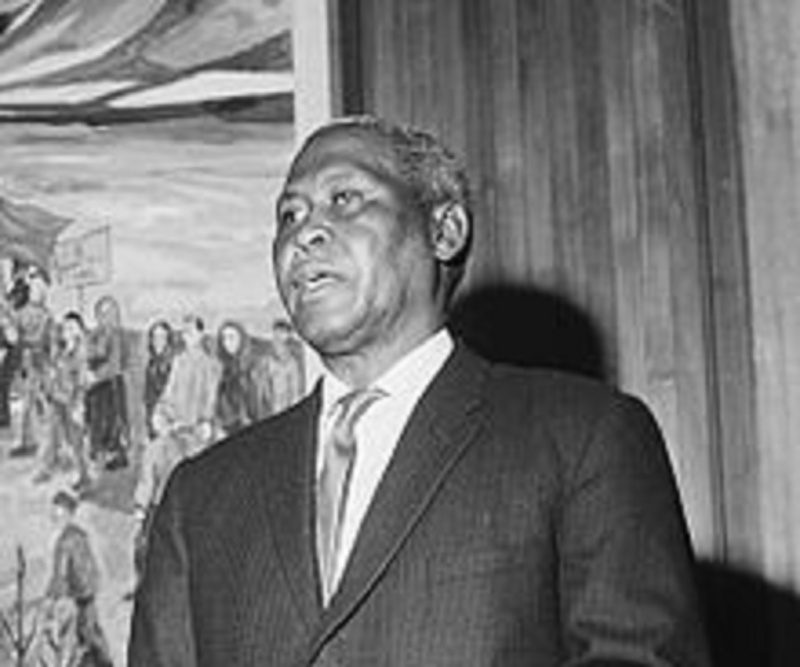 Albert John Luthuli was a leader of black resistance in South Africa. Check out this biography to know about his childhood, family life, career and achievements. 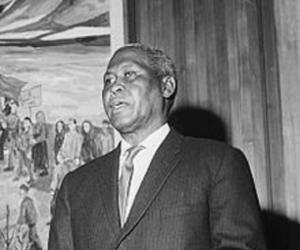 Albert John Luthuli was a leader of black resistance in South Africa. He took up nonviolent methods to end the regressive system of apartheid and while doing so helped to form world opinion against South Africa's policy of Apartheid. Born towards the end of the nineteenth century into the Zulu tribe, he began his career as a teacher, but later gave it up to become the tribal chief on the invitation of the tribal elders. Thereafter, he concentrated on improving the life of his brethren. But as the minority white government began to use brutal force to suppress the aspiration of the black population, he became involved with national politics and subsequently became the president of African National Congress. For most of his life he lived under bans, yet he continued to inspire his people through written speeches and statements. In 1960, he became the first African to receive Nobel Peace Prize for his nonviolent struggle against apartheid. 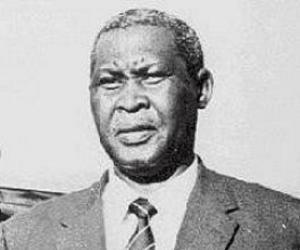 Albert John Mvumbi Luthuli was born in Solusi Mission Station near Bulawayo, in southern Rhodesia, now Zimbabwe. While his date of birth remains unknown, he later calculated his year of birth to be 1898. His father, John Bunyan Lutuli, was the younger son of a tribal chief at Groutville in the Umvoti Mission Reserve near Stanger, Natal. He became a Christian missionary at the Seventh-Day Adventist Church and at the time of Albert’s birth, was working as an interpreter among the Matabele of Rhodesia. His mother, Mtonya Gumede, spent part of her childhood in the household of Cetewayo kaMpande, the king of the Zulu Kingdom, but was mostly raised in Groutville. Albert was the couple’s third child. Since no information is available about his siblings, it is assumed he was the only surviving child. Albert lost his father at the age of eight. Sometime between 1906 and 1908, he accompanied his mother to his ancestral home in Groutville. There he lived in the household of his uncle, Martin Lutuli, who had succeeded his grandfather as the tribal chief. In 1911, supported by his mother, who now worked as a washerwoman, Albert entered the local Congregationalist mission school. Here he studied until standard four. Living with his uncle, he also imbibed tribal traditions and values. In 1914, Albert was shifted to Ohlange Institute. It was a boarding school, run by Dr. John Dube, the founding President of the South African Native National Council and here he studied for two terms. On passing the year-end examination at Ohlange Institute, Albert was transferred to a Methodist institution at Edendale, located in the KwaZulu-Natal province to undergo a teachers' training course. He graduated from there in 1917. In 1917, Albert John Mvumbi Luthuli began his career as the Principal at a primary school in rural Blaauwbosch in Newcastle, Natal. However, he was the only employee at the school and therefore was required to undertake all kinds of duties. Luthuli taught at this school for around two years. Sometime during this period, he confirmed to the Methodist Church and along with teaching, he also became a lay preacher. In 1920, he received a government bursary, with which he enrolled at Adams College, located south of Durbar, for a higher teachers' training course. At that time, it was one the best schools in southern Africa and he reveled in the atmosphere there. On graduating from Adams, he received a scholarship to study at University of Fort Hare; but declined it because he felt that it was time he relieved his mother. He therefore joined Adams College as a teacher at a monthly salary of £10. Albert Luthuli enjoyed his life at Adams. Apart from teaching, he undertook missionary work and became the secretary of the college football association. Moreover, he started attending meetings of the Durban Joint Council. In 1928, Luthuli was elected Secretary to the African Teachers Association, becoming its President in 1933. Also in 1933, the tribal elders of Groutville community invited him to succeed Josiah Mqebu, the chief of the tribe since 1921. Albert Luthuli was now well settled in his position, enjoying the security of a monthly salary, something he loathed to forego. Ultimately, after dithering for two years, he returned to Groutville in early 1936 to take up the mantle of the chief. The time was very bad for the inhabitants of Groutville. Production of sugarcane, the chief crop of the area, had failed, causing great hardship to the people. He now devoted himself to the service of his five thousand tribal brethren, plagued by poverty, landlessness and lack of political voice. As a tribal chief, he had many duties. Other than working for the betterment of his people, he was also required to represent both the government and his people, performing magisterial duties, mediating in case of trouble. During traditional festivities he acted as the presiding dignitary. During that early period, the overall improvement of his people was possibly his only goal and until 1945, he remained mostly apolitical. However, he did not limit himself only to Groutville, and founded the Zulu Language and Cultural Society during this period. He was also the secretary of the Natal African Teachers’ Association and of the South African Football Association. Moreover, he was a member of the Christian Council Executive, of the Joint Council of Europeans and Africans, and of the Institute of Race Relations in Durban. In 1938, he visited India to attend the International Missionary Conference in Tambaram, Madras. It was his first trip outside his country and it might have widened his perception. As South African government began to impose greater and greater restrictions on the black population from the middle of 1930s, Luthuli realized that it was time to act. In 1944, he joined the African National Congress (ANC), being elected to the Committee of the KwaZulu Provincial Division of ANC, in 1945. In 1946, he was elected to the Natives Representative Council, a governmental advisory body comprising of chiefs and intellectuals. But soon after his election, the workers at the Witwatersrand gold field went on a strike, which was brutally broken by police, killing eight miners and injuring thousands. While the Council remained a mute spectator to such brutality Luthuli joined the people’s protest. Slowly he began to transcend his role as the tribal chief, moving towards national politics. In 1948, he toured the United States as a guest of the Congregational Board of Missions. There, he talked about the condition of his people and warned that Christianity faced a severe test because of the discrimination faced by the black people in Africa. Returning home after nine months, he found that a policy of total apartheid was in place. In 1950, the government enacted the ‘Pass Law’, which further restricted the movement of the black people. In 1951, Luthuli represented Natal at the national conference of ANC. In this conference he called for unity among black Africans and redefined the challenges the community faced at that juncture. 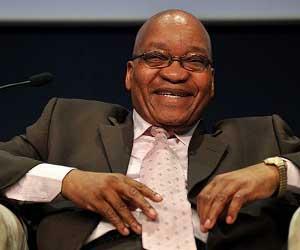 Also in the same year, he was elected President of the KwaZulu Provincial Division of ANC. In 1952, African National Congress joined the South African Indian Congress to stage a countrywide nonviolent campaign against the discriminatory laws. Known as Defiance Campaign, the movement started on 26th June and Luthuli led the campaign in Natal. During this period, he was actively involved in recruiting volunteers. He also addressed numerous meetings, especially at East Rand area, resulting in bus boycotts, sit-in movements and industrial strikes. The government now charged him with conflict of interest. It demanded that he either withdraw from ANC or give up his post as tribal chief, which though elected was held at the pleasure of the government. He refused to do either. In November 1952, Luthuli was removed from his office, in response of which he issued a statement, ‘The Road to Freedom is via the Cross’. He not only remained the de-facto chief for rest of his life, making the removal ineffective, but in December 1953, he was elected President-general of ANC. As Luthuli was elected president-general of ANC, the government tried to minimize his effectiveness by imposing ban on him under the Internal Security (Suppression of Communism) Act. He was not only prohibited from attending any political or public gatherings for one year, but was also prohibited from entering any major city. In spite of that he continued to work towards his goal. On February 21, 1954, he sent a speech to the 6th Annual Conference of the Natal Indian Congress in Durban, entitled ‘Let us march together to freedom'. In June 1954, he wrote - ‘A message to the African people and their allies in the struggle for freedom in the Union of South Africa'. Through it, he started a new campaign, building bridges between the educated and the uneducated and making the uneducated aware about the situation. As the one-year ban expired, Luthuli immersed himself in work, opening conferences and starting campaigns. On July 11, 1954, he left for Johannesburg to address a protest meeting; but as he stepped off the plane, he was served with another ban order. According to the second ban, which was placed for further two years, he had to confine himself within a twenty mile radius of his home. Although it stopped him from undertaking the day-to-day activities of the president-general, he inspired people by his speeches, which were read out at conferences. As the second ban expired in July 1956, Luthuli began attending meetings and conferences. On 5 December 1956, he was charged with treason and arrested along with 155 other activists. In December 1957, after being kept under detention for one year, Luthuli was released and charges against him were dropped. He once again started his campaign against racial discrimination and some of his speeches were aimed at white South Africans, for which he earned great praises from some of them. In his speeches, he proposed a multi-racial society and his meetings began to be attended by many whites. His quiet authority as well as his inspiring talks impressed many foreign observers. The government responded with imposing the third ban. 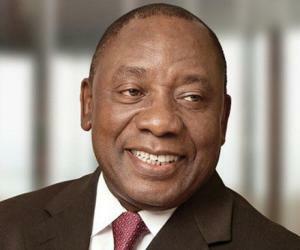 Imposed on May 25, 1959, the ban prohibited him from leaving his home district for five years and attending any meeting anywhere in South Africa. However, it was temporarily relaxed in December 1961, to enable him to travel to Oslo to accept the Nobel Prize. On his return, he continued with his fight. In 1962, he rejected the government’s offer on homeland, saying “We don’t want crumbs”. Contrarily, with Martin Luther King Jr. he issued a joint statement entitled ‘Appeal for Action against Apartheid’. In 1964, he was served with his fourth and last ban, confining him to his home in Groutville. From there, he continued with his work, writing speeches and dictating his autobiography, until his death three years later. Albert Luthuli was honored with Nobel Peace Prize 1960. He received his prize one year later, in 1961. In 1962, he was elected Rector of the University of Glasgow by the students, an honorary position he held till 1965. 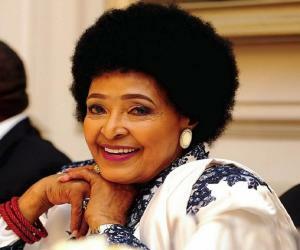 Luthuli Scholarship Fund was also set up to enable a black South African student to study at Glasgow University. In 1927, Albert Luthuli married Nokukhanya Bhengu, a fellow teacher. The couple had seven children and had their permanent home in Groutville. Luthuli spent his last years in enforced isolation while African National Congress abandoned the policy of nonviolence. 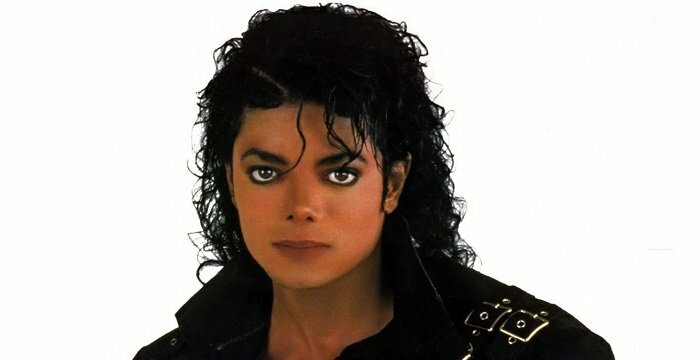 He also suffered from high blood pressure, once having a slight stroke. As he grew older, his hearing and eyesight also became impaired. On July 21, 1967, as he was walking across a trestle bridge over the Umvuti River near his farm, he was hit by a freight train and died from it. Luthuli has been honored with a feast day by Episcopal Church (USA). It falls on July 21, the day of his passing away. Albert Luthuli was the first person outside Europe and Americas to receive Nobel Peace Prize. His Zulu name Mvumbi means ‘continuous rain’.